Hehe just typing the title brings a smile to my face. It’s like when someone pokes you on Facebook and you poke back. Do they even have that function anymore? So guess what, I was nominated by… the lady ( I don’t actually know her name haha! ) behind Blonde on the Move, for a Liebster Award!!!!! Thanks so much for reading my posts over the years, it’s realllly nice to be acknowledged and to know that someone appreciates the random posts that you’ve written!!!!! 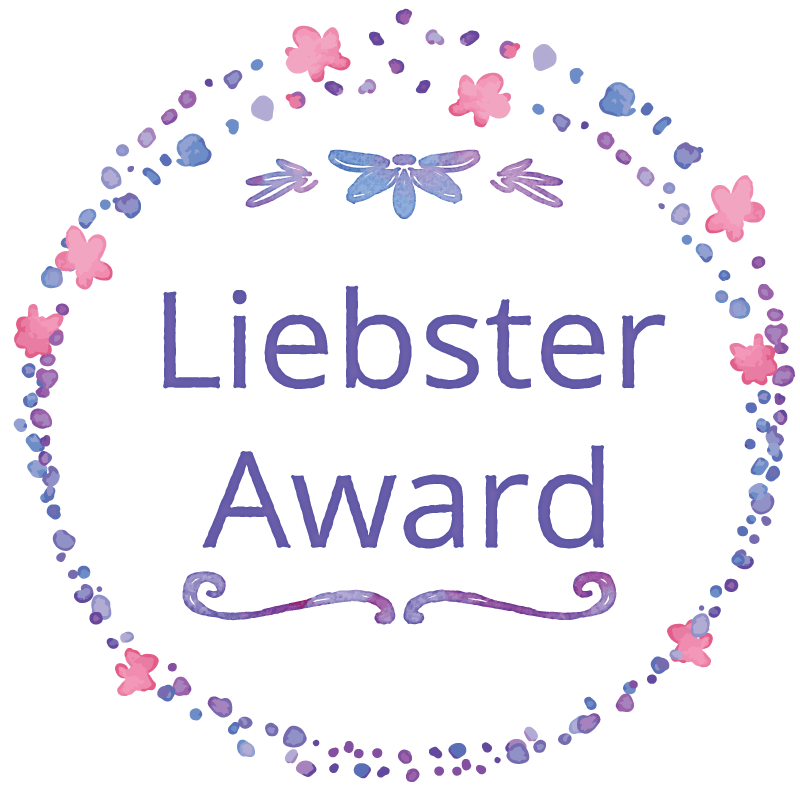 I don’t know much about the Liebster Award, but apparently as explained by her in this post here as well as explained in the rules, the award itself is the nomination itself and your post is the acceptance speech, and the next nomination of awards. So cool, and doing these kinda posts, or any part of these in My Random Rambles are my favourite parts of blogging! Have you seen a shooting star and if so, where? Must be a few times, but the one that comes to mind is at Windsor Reserve ( I think that’s the name of the park ) in Devonport, Auckland. The skies in Auckland ( or in New Zealand in general ? ) are really clear at nights ( less pollution ? far away from the rest of the world ? ) – maybe that’s why you see more ? I don’t know, hehe. 2. What is your all time favourite dish or cuisine? Cuisine – quite apparent from my blog – south-east-asian or east-asian. To narrow it down, I’ll choose chinese and japanese. We cook and eat chinese every night at home. Food, that is. I don’t have an all-time favourite dish per se though 🙂 Might as link to my blog if you were interested to see all the many posts I’ve done on asian food, hee. 3. Which is your favourite country to visit? There isn’t a specific country that we have returned again and again, as much as we would love to travel so often! To choose one country that we’ve had one of the better holidays at, that would be Georgia. Such a beautiful country, and so unknown it seems, though as of the last two years more and more people (and bloggers too) have started going there. Click here for my write-ups on our holiday there! Sheep sheep sheep! 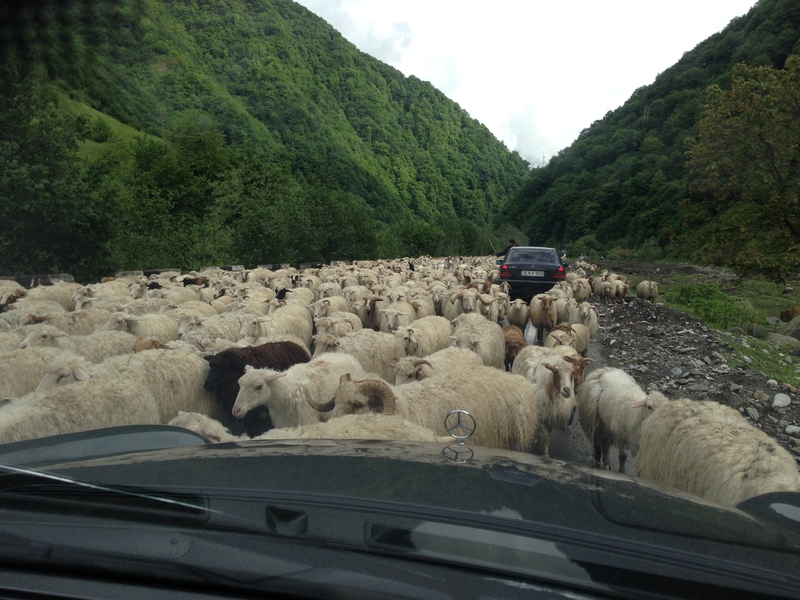 In Georgian countryside…. 4. In your home town, or the town/city you currently reside in, which restaurant is ‘off the beaten path’ but that you would recommend to any new person to the area? We live… quite obviously in the marina. There isn’t a lot of restaurants here that are ‘off the beaten path’, hmm. We used to go to Hanoi Cafe in JLT a lot for their special pho, until they no longer do the special beef balls – it’s still good though! We go to Pots Pans and Boards in the Beach a lot because they have a play area for our monkey, and they do a great fish pie (with the Entertainer, yay!). The Peacock at Sheraton JBR does the best yum cha. Shanghai Chic in Movenpick Ibn Battuta Gate which we’ve been a million times does an awesome unlimited tasting night as well. Char siew pao (Pork buns) please… thank you very much! 5. What is your take on the Kardashians?! Haha, funny question! I watched a few random episodes but that’s about it. No opinion on them really. 6. Champagne vs Prosecco… go! Both? Hehe. I’ll go prosesco. I haven’t had enough champagne in my life to appreciate it to the fullest. Click here for my very few mummy life blog posts! 8. Who is your most embarrassing ‘celebrity’ crush?! Hmm! So many! Brad Pitt when I was 11? I have three folders of him at home with clippings that I cut out of magazines which I borrowed from the local library, hehehehehe! Legends of the Fall, all the way! What do you mean you don’t know that movie? 9. Which is your favourite grocery store, and why? 10. If you could have dinner with two people, dead or alive, one from your personal life and one from the wider world, who would they be and why? Tough one ay. I’ll pick G (the husband) – simply because 🙂 And from the wider world…… that’s a tough one. Someone fun for us to eat together with…..someone we can ask lots of questions and learn from, maybe Christopher Howard, the motivational speaker, or Dale Carnegie? I don’t know!!!! Hahaha. So there’s that. Hope you had fun getting to know a little bit more about me. Next up, we have to write a 150-300 word about your favourite blog and why. I don’t follow a lot of blogs. One of a very close of mine from home writes about his travels and I love reading about what him or he and his family, are up to. His blog is simply titled Yoho Photo Travels. It’s a good way to keep up to date to what they’ve been, and he’s really good with taking proper photos. In fact he offered to do photos for us when we were engaged, which we later on used on our wedding invitation card! The family came over to the region last year and he did quite a few write-ups of the entire trip – click here to have a look! Photo linked directly from his blog, click on photo to check out his post on the marina! Yoho Photo Travels – Reasons above! 2. A to Zaatar is a food blogger based in Dubai. She writes in her own style, and is one of the very few bloggers I feel that write with an unbiased viewpoint. Funny on screen and in person, I highly recommend you follow her if you want to know what’s new and good to eat around Dubai and beyond! 3. Mitzie Mie is a travel blogger, whom I’ve known for a few years now. We live in the same area which makes it quite easy to meet up, considering how often she is travelling! The first time we “interacted” in the real world was when we found out we lived in buildings across the marina and I attempted to shine a torch light, and even took out a pillow to see if she could see me, hahaha. She writes often, and is amazing with her camera as well. And lastly, questions for you guys should you want to carry this on. Don’t stress, you don’t have to, haha. Out of all the countries that you have been, which one would be your favourite, and why? Of all the many resorts that you have stayed in and around where you’re based, which one is your favourite, and why? Name me one restaurant that you’ve been during your travels that is the most memorable, and why? Best memory from a road-trip done in your country (or where you’re based), something that you bring up again and again when you catch up with friends (if those are who you went on the trip with), or your loved ones. If you were to dress up as a fruit in a party, what would you be and why? If you were to become an animal for a day, what would you be and why? Durian? Have you had it? Did you like it? Scariest thing you’ve ever done in your life. I’m glad I managed to get this done before I start back in the corporate world again – will be a lot less blogging I’m sure, boo hoo! To Blonde on the Move, thanks so much again for the nomination. This was such a fun post to do. Something different 🙂 You keep up writing the way you do – love reading your posts. Always cracks me up. Cyber hug back. And to those I nominated as well! I don’t believe that there is anyone who hasn’t fallen in love with Tristan at some point! I’m no Brad fan but that look worked even on me! Haha! Glad that you enjoyed the nom and that you have written this back! I really do think it’s a fun thing to do! Good luck when you return to the boring grown up world!! Hehe, cheers for the nomination again. Took me awhile to do up the post but it was fun to bla bla bla through it, I think it ended up being longer than I had planned!! Thanks for the well-wishes, yeah…. back to grown-up world soon! Thanks for the nomination and for the awesome kind words! Brad Pitt ay…..completely acceptable! Forgot to reply… hehe. Haha and to think that he’s 50++ now makes me feel so old! It’s official. You’re a celeb now. Congratulations on your award, and well deserved too. I often say there’s a sea of Dubai bloggers out there, but only a few mermaids. Cue Darryl Hannah GIF….